The original European release version, with footage cut from the American theatrical release. 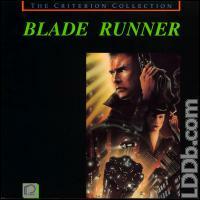 This version includes the narration by Deckard and longer ending that was removed from the Director's Cut. 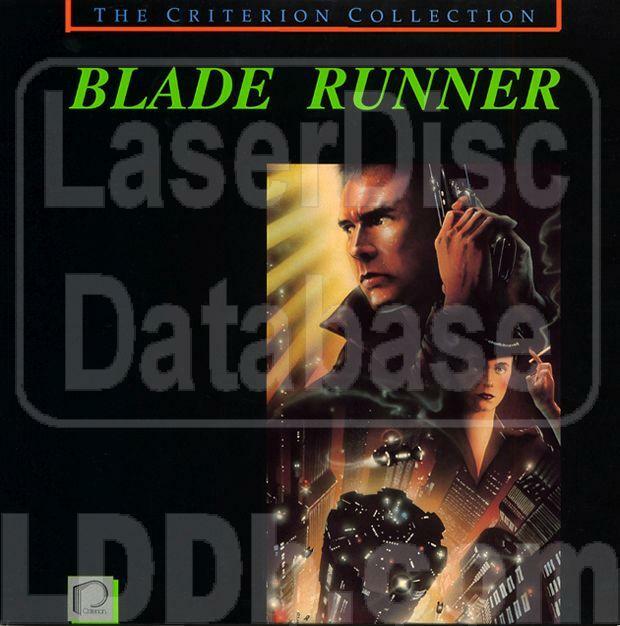 Gouache illustrations, pen and marker drawings, and preliminary sketches by Syd Mead, the film's "visual futurist"
Included a lime-green card entitled "Some important notes about The Criterion Collection edition of Blade Runner". The Japanese release [NJL-20008] by Warner Japan carries the same contents (plus Japanese subtitles of course) including the Criterion supplements that were licensed especially for this release. Beware of the 3M Imation pressings. It is said that 3M had an inhesive problem when the discs were manufactured and caused most of the copies to rot or contain video speckling. The Pioneer USA pressings are a sure thing. 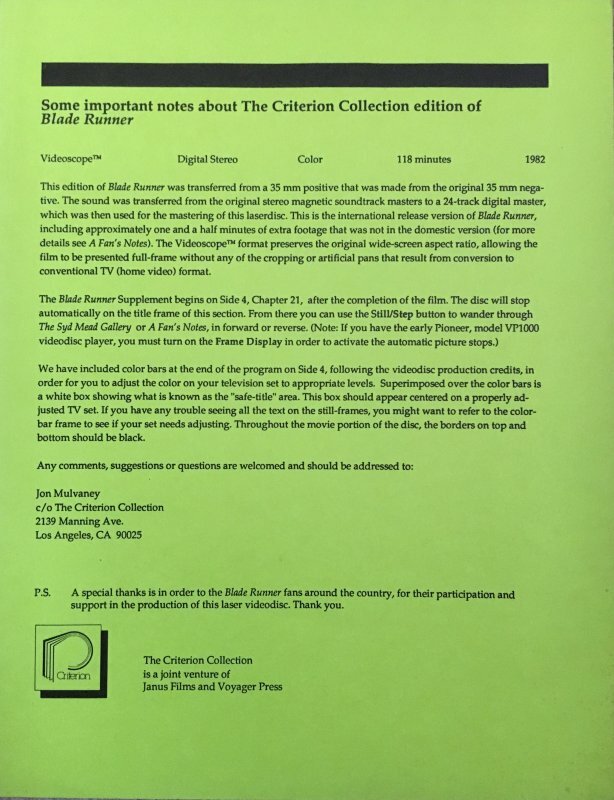 As with all Criterion discs the jacket contains liner notes, list of special features, Cast and Credits, chapter stops, and the Laserdisc production credits.